Perhaps the best bananas in the world, “ice cream bananas” melt in your mouth and taste like vanilla… AND they can be grown in colder climates across much of the United States! As the monoculture of Cavendish bananas races toward extinction, you can help preserve banana species diversity by planting this variety right in your backyard… if you live in the southern half or West Coast of the United States, that is. 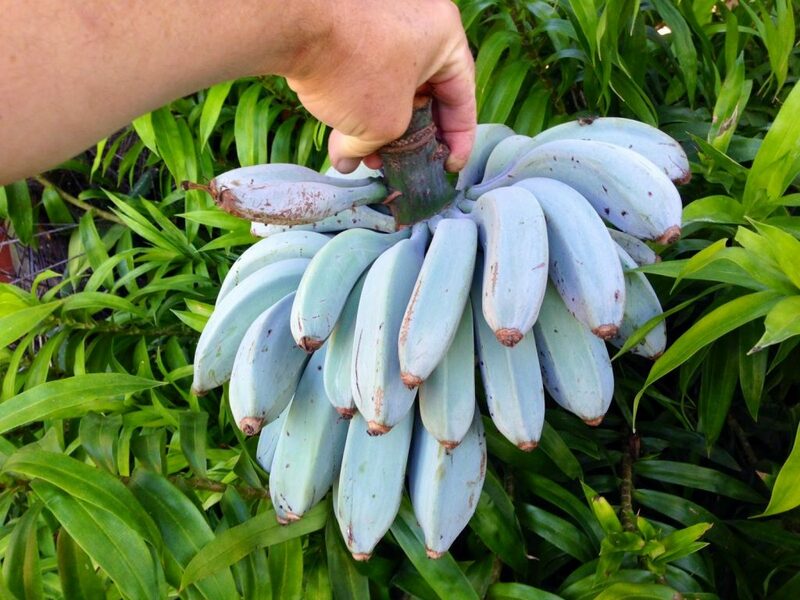 Blue Java bananas originated in Southeast Asia and are prevalent throughout the Hawaiian islands. Unlike most tropical fruit trees, they can withstand temperatures as low as 20 degrees Fahrenheit, meaning they will thrive in USDA plant hardiness zones 8-10 — that is, most of California, parts of the Pacific Northwest, and across the South. And best of all, they taste like vanilla ice cream! Creamier and fluffier than your typical Chiquita banana, Blue Javas (also known as “ice cream bananas”) reportedly melt in your mouth and have a flavor reminiscent of vanilla bean. That means they could be the perfect ingredients for increasingly popular, single-ingredient banana ice cream. This non-dairy ice cream substitute is super easy to make and healthy too! Just wait until the beautiful blue peels ripen to a soft yellow. Remove peels and freeze. Stick them in a Vitamix , or better yet a banana ice cream maker. Only trouble is they’re hard to find unless you have a specialty grocer nearby. The good news is they’re easy to grow and produce fruit fast. You can buy a potted tree online and have bananas within 9 months. If you live in one of the zones above, plant it outside. If not find a place indoors with tall ceilings indoors (a green house or sunroom would be ideal). In addition to amazing fruit, Blue Javas make beautiful ornamentals, with big red flowers and silvery blue leaves.